The city of Paynesville, MN is a vibrant and growing community conveniently located half way between St. Could and WIllmar. The 2008 Census estimate puts Paynesville's population just shy of 2,500 residents. The city offers numerous churches, organizations, parks, beaches, a strong local chamber and more. 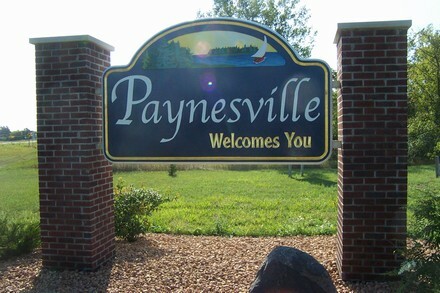 The Paynesville school system is well respected (District 741) and the city is also home to Paynesville Area Health Care System, offering a hospital and clinics throughout the area. Paynesville is well known for it's area lakes. Lake Koronis and Rice Lake are within minutes of downtown Paynesville. These lakes feature several resorts and public beaches for summer recreation. A channel connects the lakes allowing boaters to enjoy the unique features of both area lakes.